Digestive difficulties, including an upset stomach, gas, bloating, diarrhea and constipation, may be the result of a gluten intolerance or sensitivity. 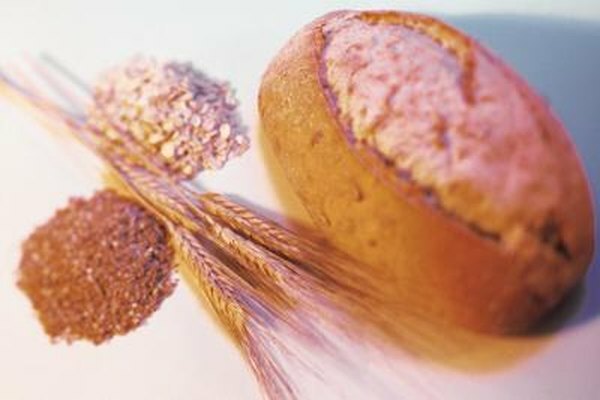 Gluten is a protein found in wheat, rye, barley and spelt. Gluten intolerance or celiac disease presents with a variety of symptoms and is often misdiagnosed, even when digestive symptoms are present. Your doctor can test you for celiac disease and, if positive, may recommend a gluten-free diet. Celiac disease is an autoimmune condition that affects the lining of the small intestine. If you have celiac, your body responds to gluten by attacking the villi in the small intestine, causing substantial and sometimes permanent damage. The villi in the intestine allow your body to absorb vitamins, minerals and nutrients. Damage of the villi can result in malnutrition and vitamin deficiencies. Testing for celiac disease requires blood tests and biopsies of the small intestine. The symptoms of celiac disease vary widely. Infants and children are especially likely to experience upset stomach and digestive difficulties as a result of gluten, but adults may also have digestive symptoms. If you react to gluten, you may have an upset stomach, nausea, vomiting, diarrhea, pale stools, constipation, gas and bloating. Other symptoms of celiac disease include joint pain, depression, anemia, fatigue and neuropathy. You may also experience an upset stomach and other digestive symptoms if you are sensitive to gluten but do not have celiac disease. If you've been tested for celiac disease and the biopsy was negative, you may still want to consider trying a gluten-free diet. There are no tests for gluten sensitivity, but if you respond to an elimination diet, you may have found the cause of your upset stomach. A gluten-free diet requires that you avoid all sources of wheat, rye and barley. Bread, pasta and baked goods are the most well-known sources of gluten, but the protein is also found in many processed foods, from salad dressing to soy sauce. Gluten-free breads, pastas and other foods are available in many grocery stores and health food stores. If you have celiac disease, it is essential that you avoid all sources of gluten. If you have a sensitivity to gluten, consuming the protein won't damage the small intestine, but avoidance may get rid of your upset stomach.